It is rightly said that life is full second chances. The difference between the people is the difference of approach they had about different things. The Job Listing is offering a number of tips to change the attitude especially in a positive note. The Job Listing is also helping the aspirants in finding the Current Job opportunities. When you call or go to interviews, there is a big difference between thinking “I’m looking for a job” and “I’m here to do the job you need and improve the business“. If you are going to be hired, you expect the employer to give you an offer; to get; you have to commit yourself to make a good impression. That’s right, it’s important to hit the interviewer, but, above all, it’s essential to show your desire to be chosen and the usefulness of your skills. Everything you write and say should be silently supported by the statement “I am here to improve the business, and I know how to do it”. If you’ve moved so far in the last few years, be prepared to offer a good reason why you did it. Otherwise, you have to explain in a sensible way the reason why you want to settle in the area where the company is located. A company has no intention of hiring a person who wants to live as a nomad. Prepare to define the reason why you are in that place, how long you intend to stop and why. Give specific reasons, such as “This country has the best education system in the whole continent and my daughter wants to find a cure for cancer” or “I’ve been attracted to this area because it’s cutting edge and innovative in the industry, and I want to be part of it “. The more details, names and explanations you offer the better. Many are looking for a job, and only then try to understand how they can make small changes to the way they present their skills and experience to adapt to the professional offer. Instead, try something different. Do not follow an approach that goes from general to particular; prefer one that goes from the particular to the general. Make a list of all your skills, determine which companies and fields you particularly need (if necessary, ask for suggestions around) and find companies that would benefit from your skills and experience. Maybe you will realize that a career that at the beginning was not even in your radar can actually give you many satisfactions and gratifications. 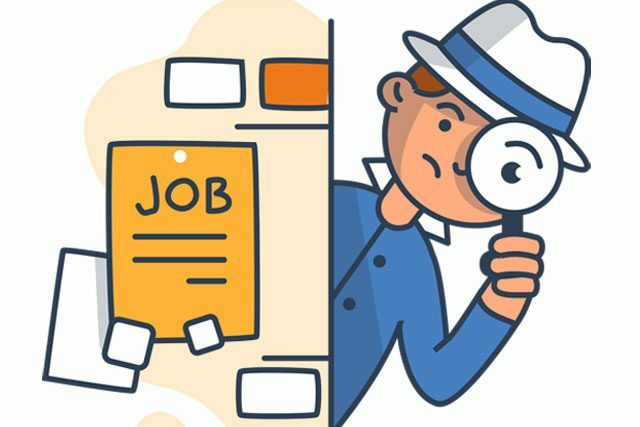 It is important that the nature of the work fits your personality and your salary requirements; otherwise you will have lost a lot of time looking for a job you hate. Getting up every morning will be a nightmare. As a result, be realistic about your expectations, but be open to the possibilities you can explore. Do not panic, and do not back away just because you do not own 100% the features described in the job offer. This description definitely lists the traits that would have an ideal candidate, and maybe they are different skills than you have. You should certainly choose professional offers that best suit your skills, but sometimes the best thing you can do is sell the skills you have by planning to learn and cultivate others. Adapt the prospectus to specific job offers. Eliminate the elements that have nothing to do with the skills required by a certain job. Dress in the right way. When you have to go to an interview, dressed as if it were the first day of work. Choose appropriate clothing to make a favorable impression during the meeting. Believe in yourself, be sure. Do not overlook the profiles you’ve opened on social networks. It is quite common for employers to investigate Facebook and other such sites. They should be free of photos and scabrous details. Research should be considered as a full-time job. Before being hired, this is your job. You take on the role of salesman and marketing expert to sell your product that is you. An alternative is to create your own business or other initiative. In that case, your purpose is not so much to find and get a job, but to create one. In any case, entrepreneurs often start with a classic job. It is their source of sustenance until the profession they prefer becomes stable. Prepare for difficult questions such as, “What are your earnings expectations?” Or “Where do you see yourself in five or ten years. These questions can cause embarrassing silences during interviews and potential employers can sift through your mental agility with personal thoughts. Contact employment agencies. Sometimes they require a good percentage of salary for their service, but they can help you find an interesting job. In this way, you can improve the curriculum. Never contact a single agency. Choose as many as possible. It’s easy, and your chances increase not a little. Do a search on Google indicating the name of the region or country where you live. Although not a social animal, behave as if I were. Remember that you generally have to work hard to ascend. For example, if you want to open a clothing store, you first work for a company that makes or sells these products. The most effective way to get a job is to stop complaining about the lack of vacancies. Get up from the couch and go knocking on different doors with the curriculum in hand. If you do it all day, every day, you will find yourself in a position to choose the job that suits you because you will not miss the offers. This tactic works regardless of the economic situation in which you are. Enterprising and career-minded people are not holding hands, and are not successful by chance. Do not wait for someone to look for you or hire you because you feel sorry for yourself. Your resume (or CV) represents you, so work hard to prepare it. You never know: even a small project realized at the time of the university or the courses you followed could give you a competitive advantage. You must know what the job that interests you is. Presenting you personally does not always work. In large cities, it can happen that they do not let you enter without an appointment; if in doubt, get in touch with the company before going there. As you answer the questions, be sure of yourself. Know your strengths. If you do not have the right words to describe what you do well or that gives you energy, you should think about yourself, test or read books. Even a career coach can allow you to identify them. Having accurate and concise descriptions on your best qualities will help you during any interview, and will help you to act appropriately in job search: sector, career type, etc. Prepare two or three interesting stories to tell at the interview. They should emphasize your achievements and your ability to overcome the specific challenges of the business or work. When you can, answer a difficult question using these stories. Use the STAR technique if possible and feasible. It will help you to be safe during any meeting and in front of (almost) every question. If you are doing an accurate job search, sometimes you will be rejected. If it does not happen, this means that you are not actually putting yourself in the game. If you do not learn to consider rejection as a chance to improve your approach, then you will have serious difficulty finding a job. Previous articleHow Will You Choose The Best Exterior House Paint?